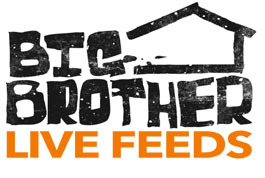 Big Brother 11 and the 24/7 live feeds will NOT be broadcast in high-definition. Several Big Brother websites are reporting that BB11 and the live feeds will be broadcast in HD. After speaking with Real Networks and a Showtime representative, it became clear that there was some confusion circulating regarding a previous message from Real Networks. Real Networks plans on testing its Helix streaming technology for Big Brother. This platform can support HD streaming. However, the cameras in the Big Brother house have not been upgraded or replaced for HD viewing. Showtime did say that they might upconvert, or stretch, the standard-definition signal coming from the house to fill the HD screen for Showtime’s HD viewers. But this will not increase the quality of the picture because the cameras are still operating in 4×3 standard-definition. However, Real’s Helix streaming allows fortimeshifting and multi-camera viewing in realtime. This means that for Big Brother 11, Real plans on rolling out a “Flashback” feature to allow users to enter a specific date and time and the feeds will rewind to that point. Additionally, viewers can see thumbnail previews of each of the house feeds at all times. More details will be released soon about these new features. If you would like to sign up for the 24/7 feeds right now, you can do so here and re-live some of the best Big Brother 1o moments. Or look for a 25% off deallater this week on WeLoveBigBrother.com.